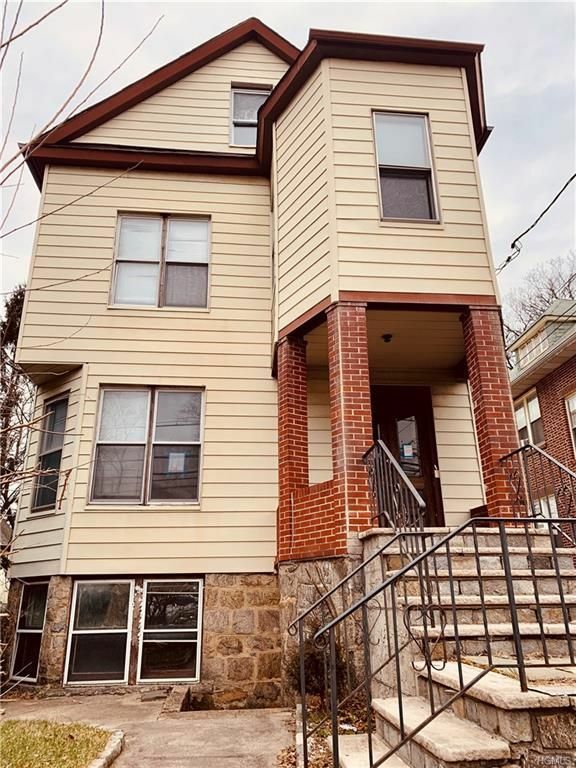 VACANT-->GREAT 3 FAMILY INVESTMENT OPPORTUNITY---->CALLING ALL INVESTORS--->THIS PROPERTY IS SITUATED IN THE HEART OF YONKERS CLOSE TO CROSS COUNTY SHOPPING MALL AND EMPIRE CITY CASINO, EASY ACCESS TO BRONX RIV PKWY AND MAJOR DEGAN. 2 CAR PARKING GARAGE WITH PLENTY OF DRIVE-WAY PARKING. NEW ROOF. 3 BEDROOM OVER 3 BEDROOM OVER 2 BEDROOM POTENTIAL AT ATTIC BEDROOMS, 1 OR 2 BEDROOM WALKOUT BASEMENT. NEED SOME REHAB. PURCHASED AT FORECLOSURE AUCTION, SELLER ASSIGNING CONTRACT TO BUY (***CASH *** OR CONSTRUCTION LOAN ), BEING SOLD AS IS.